(Before) Lady attended not happy with appearance of upper central incisors- discolouration of fillings and thinning and shortening of edges. (After) Tray whitening of all teeth and hygiene appointment was followed by fitting of non- metal crowns on upper central incisors. 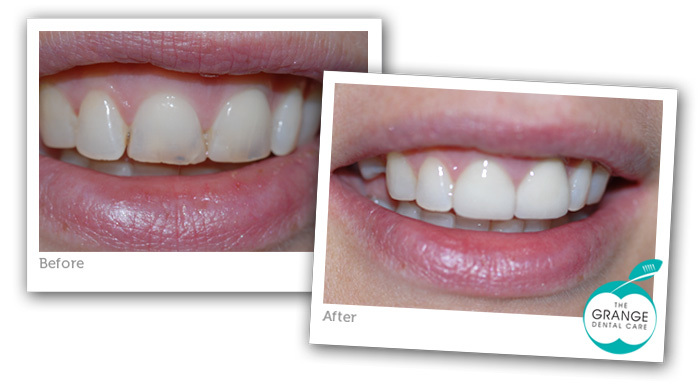 These were positioned so that they could be made slightly longer improving appearance and providing better contact with neighbouring teeth aiding cleaning. Treatment carried out over a 6 week period.